this friday in nashville...... — Pencil & Paper Co. 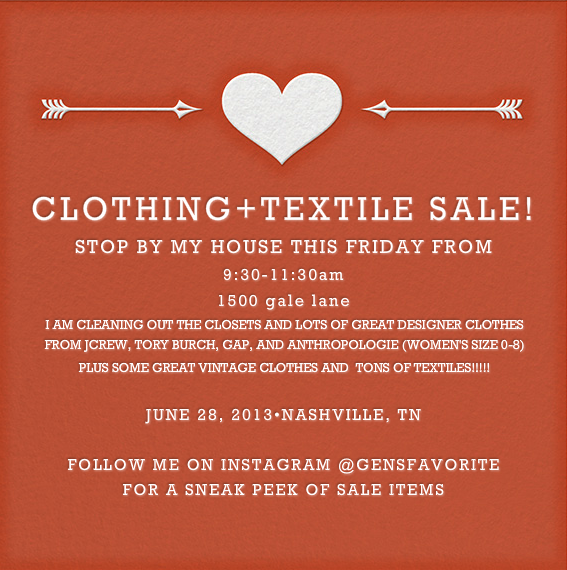 If you live in Nashville....please stop by my house (1500 gale lane off of Belmont) this Friday, June 28th from 9:30-11:30 for my not to be missed "Clothing+Textile Sale"....tons of treasures ( even some great vintage treats starting at $1!!!! !